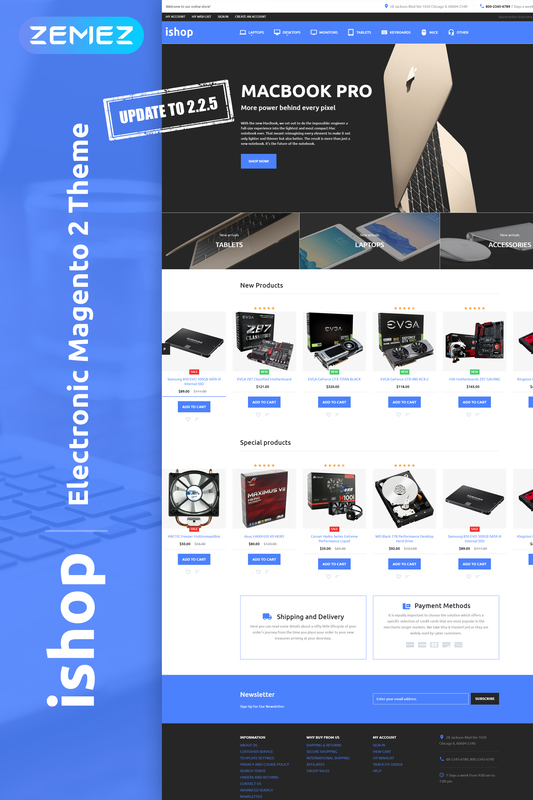 Short description: iShop is a professionally crafted Electronic Shop Magento Theme that is intended to help you grow your online visibility and attract crowds of new clients. Its simple yet functional layout is easy to navigate even for the first-time visitors. The main navigation panel is presented by means of a customizable MegaMenu. The theme runs on Magento 2.0 framework. In addition to its highly flexible architecture, top-notch performance, intuitive admin panel and updated technology stack, the theme includes a number of handy features for an effective products presentation. Thus, you can make use of unique catalog and product pages, product badges, carousel product listing, configurable swatches, and so much more. The theme is well documented. A pro support team is available 24/7 for free.